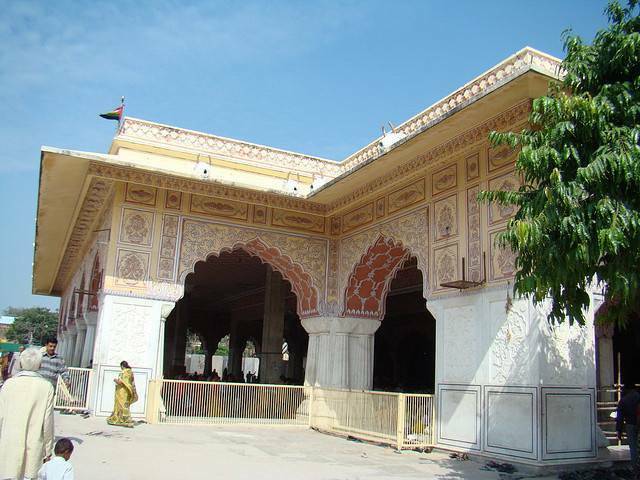 Arguably one of the most revered and frequented temples of India; the Govind Dev Ji Temple houses an image of Lord Krishna, which was brought in from Vrindavan by Raja Sawai Jai Singh II, the founder of Jaipur. Legend has it that Raja Sawai Jai Singh was inspired by a dream in which Lord Krishna commanded him to install the idol in his palace to protect it from being ruined by Mughal emperor Aurangzeb. This idol is believed to be an exact replica of Lord Krishna’s appearance. The temple witnesses an exodus of devotees every Janmashtami, the day that commemorates the birth of Lord Krishna. It is surrounded by lush gardens and one can admire English chandeliers and Indian paintings inside the temple. Aartis and bhogs are offered seven times a day, thus keeping the complex lively and ever welcoming for those who want to witness the religious happenings.